My favorite theater in New York to perform in has always been the Beacon. Comedians live for certain houses that just feel 'alive' for some reason. The Beacon is that place for me and I am so excited to make it my new home. 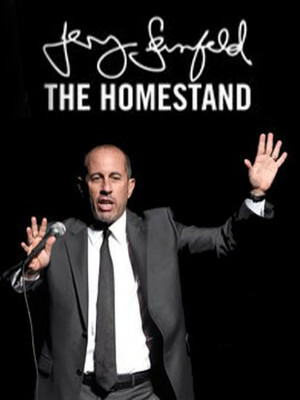 Brooklyn-born Jerry Seinfeld continues his Beacon Theatre residency, playing one show every month. It's an idea inspired by good friend Billy Joel's similarly long-running set of dates over at Madison Square Garden. The Homestand was originally only meant to run until June but has been extended due to overwhelming public demand. Arguably one of the greatest comedians of his time, Seinfeld has been entertaining audiences with his witty observations of the mundane little wrinkles of life since he stepped up to the mic in 1976. Graduating from a gruelling 300 stand-up shows a year, he turned his material into what would become his crowning achievement, leading quirky characters Elaine, George and Kramer to certified comedy gold in the smash sitcom Seinfeld. His latest and greatest achievement is the web series Comedians in Cars Getting Coffee, which recently scored President Barack Obama as a guest. Sound good to you? 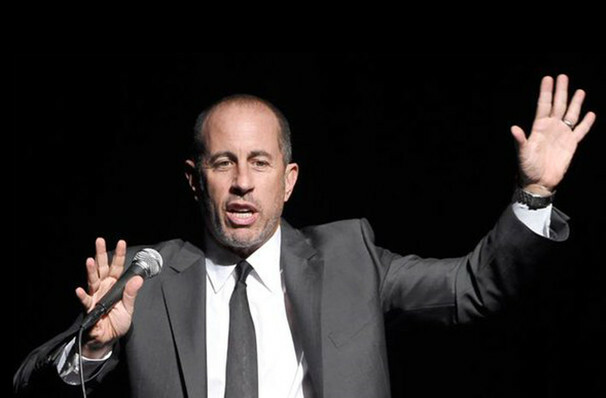 Share this page on social media and let your friends know about Jerry Seinfeld at Beacon Theater.